d7 for PC Technicians was discontinued in February 2014 - Drop down for original d7 Resources. It’s time to get current with our 3rd generation d7x! Purchase d7x today! MORE AUTOMATION!!! d7 Auto Mode is available on each page, plus a Full Auto Mode running through all of the various pages can be utilized. Ability to use restricted features such as many grayed out options throughout d7, including entire sections like Offline Ops, Customize/Install, DataRestore and DataMigrate. Clean reports without ‘sample report’ stamped throughout them. Ability to perform certain time saving operations just by starting or closing d7. No nag screens on certain functions. Ability to use d7’s scheduling features for internal update functionality and more. Add your own company name to d7’s title bar. Add your own custom application name to d7’s title bar, replacing the d7 name and version information. NOTE: this does NOT disable new d7 version alerts when your version of d7 is not current. Some minor things here and there, like the ability to save screen shots to JPEG instead of BMP, significantly reducing file size and transfer times when emailing reports or in FTP uploads. Replace “Foolish IT” and the “d7” name with your own company name and brand. Replace d7’s main logo within the main GUI and on splash screens with your own logo. d7 is not the malware scanner or remover, YOU are. YOU control it’s behavior by whitelist/blacklist functionality, and by your own pair of hopefully good eyeballs. d7’s MalwareScan functionality is designed to show you what d7 doesn’t recognize, by whitelisting known good items, and automatically deleting known bad items. d7’s MalwareScan merely shows you what is left after the whitelisting/blacklisting is applied. From there, you have the option to whitelist, blacklist, delete, rename, ignore, google, or whatever you want with the results. Included with d7 are some sample whitelists (no blacklists.) It’s up to you to decide if you should use them and add to them, or delete them and create your own. PORTABLE USE: d7 is a fully portable application, however there are some considerations for those who define “portable” very strictly, and you may wish to visit the SETUP section in the online manual, to read the PORTABLE USAGE NOTES. THIS TOOL IS INTENDED FOR EXPERIENCED PC TECHNICIAN USAGE ONLY. It is NOT for anyone without a good working knowledge of the Windows OS and how it functions (not just how to use it…) This tool can be destructive when the user is inexperienced in advanced or manual malware removal techniques when using related functionality. Adding confusion to the issue, d7 doesn’t have many functions explained or phrased very well, which is difficult when space for a description is an issue. Even techs working together in the same repair shop don’t always call the same ‘routine’ by the same name, so techs from different shops, cities, and countries have quite different terms for certain things and misinterpreting something could be an issue. Therefore, if you are unsure of anything please consult our manual, or just ask! Although we do NOT provide support for d7 Premium free licenses, we will discuss d7 phrasing and terminology anytime on our live show at www.foolishtechshow.com so hop in the IRC if you have any questions, and feel free to leave your question even if we aren’t around at that particular time, and we’ll be able to get to it on the next show. Please review the terms below prior to any download, purchase, or usage of our software. We’re sorry if you missed it, but our Christmas 2015 offer for a FREE copy of the original d7 Premium has finally expired as of October 27th, 2017. At no time will the “dCloud” service (for online configuration storage and the dCloudLauncher tiny remote deployment package) be included with or provided to these free licenses, as new server resources are dedicated to these capabilities for d7II subscribers. You may however, with this license, host your own FTP service for the functionality it provides with d7. 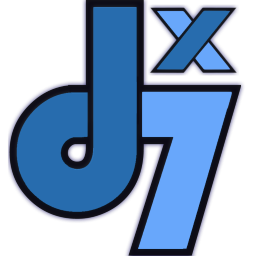 If you’re interested in more, every d7II account includes cloud server access, but perhaps more exciting is our planned d7x administrative and server-side components! All functionality will be unrestricted as-is, with some exceptions in behavior related to the “Registration Name” required for use with your unique product key, and provided in the email with your product key. The registration name is required to appear in the titlebar of any copy of d7 Premium, and normally it would uniquely identify an IT provider who owns the license, however in this case it is required to identify our website. This registration name may also appear in other areas of d7 Premium. Beyond the registration name limitations, you are free to ‘brand’ d7 Premium with your own company name (using the custom title bar/app name text) and any supported logos that you wish to use. Altering the name will invalidate the product key and license.